Robotium is the android test automation framework for testing native and hybrid android applications. It provides simple API to write UI automation scripts. However, Number of tools are available for testing android applications, Robotium is the most commonly used Android testing tool. Robotium can be used to write functional, system and user acceptance testcases. Robotium Testcases can be executed in Android emulator as well as the Android real device. Robotium stands ahead of other android automation tools with full support for Native as well as Hybrid applications. 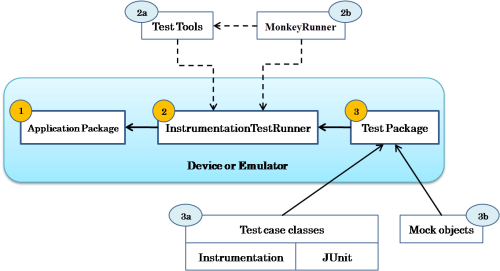 Being a JAVA based library, it is flexible enough to be integrated with various testing frameworks having support for JAVA. It deals smoothly with user actions like Tap, Touch, Swipe, Slide and is versatile enough to assert and verify each and every element on application interface. OdiTek Solutions provides a gamut of Software Testing Services. Our Mobile App Testing Services Team comprises of a unique combination of skilled software engineering and testing teams with proven expertise in testing tools and methodologies to offer a wide range of testing solutions. We offer our services across all major Mobile Devices, Platforms, Domains and Operating Systems. The Mobile App Testing team works in coordination with iOS App Development Team and Android App Development team, which also helps them in seamless app testing. OdiTek Solutions provides Android Automation Testing services implementing Robotium with a customizable framework based on clients’ needs. We follow a flexible methodology in making the implementation of the automation projects to be bundled with building tools like Maven, Ant and Continuous Integration (CI) tools like Jenkins/Hudson. We have adopted a Hybrid approach to make automation projects keyword as well as data driven. We also provide automated android app testing using. Full control over test cases to run or skip a test.